The English Football League has released a statement about the Bob Higgins Soccer Academy after is was revealed a letter was sent to all football clubs in 1989, before Posh hired him, stating the FA were opposed to his organisation. Higgins has been implicated in a nationwide police inquiry into historic sexual abuse of children. The Football League issued a letter to all Football League clubs in 1989 advising against any involvement with the ‘Bob Higgins Academy’. Today, Tuesday December 13, a the EFL released a statement which said: “The EFL is fully committed to providing whatever assistance is requested by the FA, Operation Hydrant and/or clubs with regard to the historic sexual abuse allegations, as well as undertaking a full review of our current regulations and safeguarding policies. “Last week the media brought to our attention a letter dated 27th April 1989 from The Football League Limited in respect of The Bob Higgins Soccer Academy. “Upon being made aware of its existence, we began a search of our archives in order to locate the relevant file from that time. The file has now been found and arrangements are in place for this to be passed to Operation Hydrant in case it is relevant to any ongoing investigations. “The letter referred to above was issued to all 92 clubs as a result of The Bob Higgins Soccer Academy writing to them on or around the 14th April 1989 offering their services, which operated outside the licensed criteria that applied at that time, in respect of avoiding the maximum time boys were able to travel to clubs licensed ‘Centres of Excellence’ as well as the number of hours they could train. 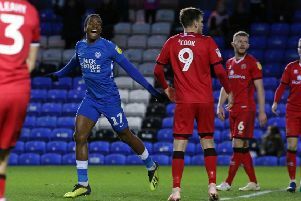 “The Football League’s response was sent with the support of both the FA and the ESFA (English Schools FA) who had been involved in discussions about the status of The Bob Higgins Soccer Academy outside the licensed criteria in the preceding months.